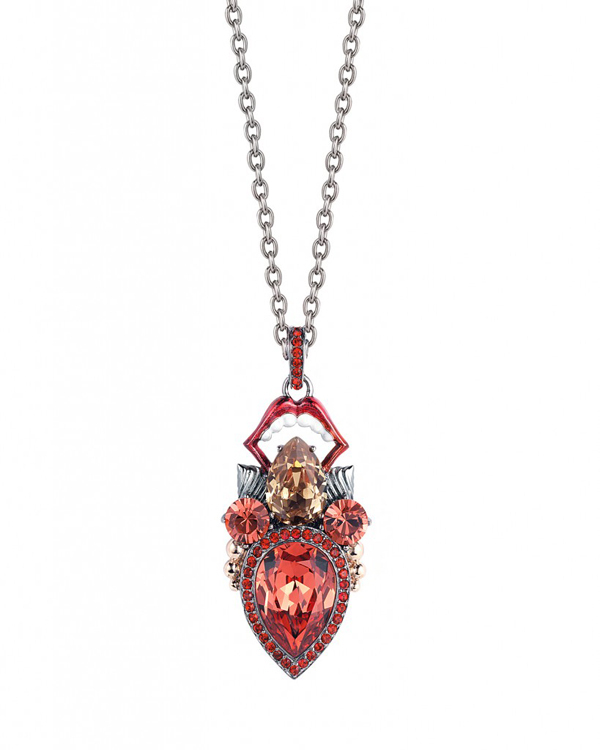 Internationally acclaimed jewelery designer, Stephen Webster has created exquisite fine jewelery couture collection “The Seven Deadly Sins”. 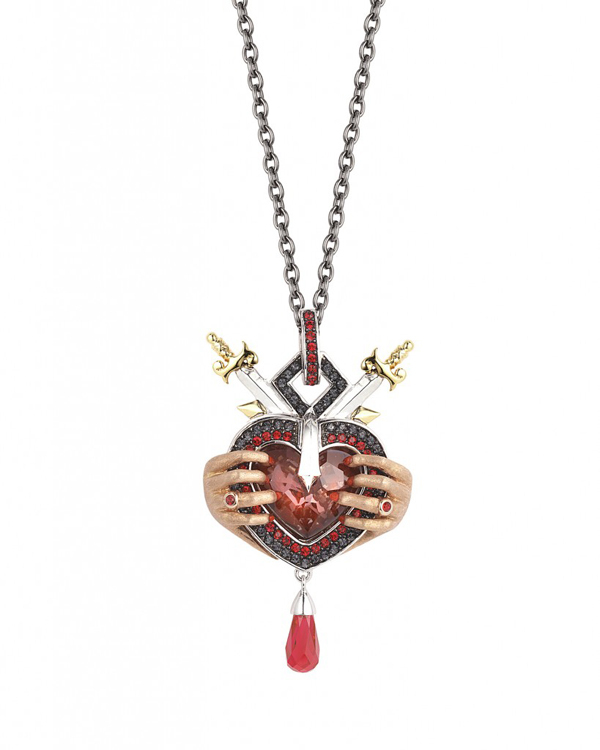 Fabulously decadent, each of the seven beautifully hand-crafted cocktail rings and pendants portrays one of the oldest and darkest Christian teachings, The Seven Deadly Sins. 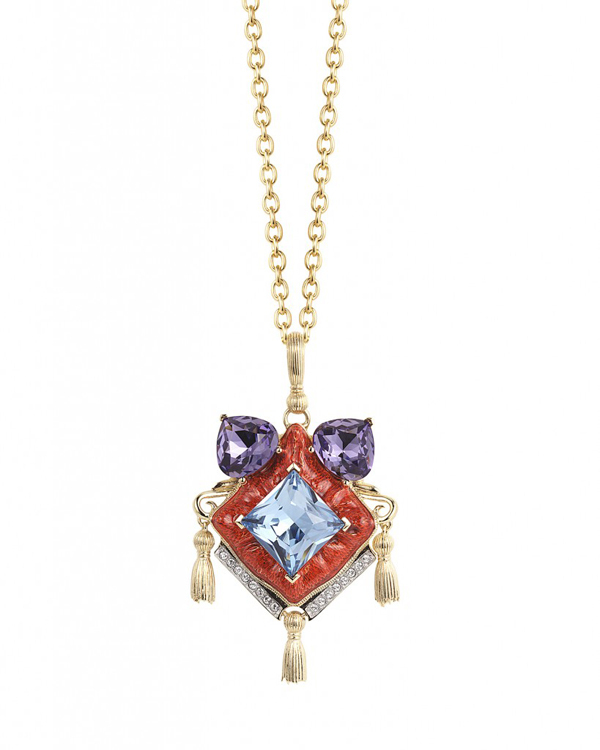 Beautifully set with a selection of exotic gemstones including Tanzanite, Peridot, Fire Opal, Aquamarine, Amethyst, Red Garnet and Diamonds. The Seven Deadly Sins are a whimsical, stylized depiction of the ancient vices: Pride, Greed, Envy, Wrath, Lust, Gluttony and Sloth. Prices are from £15,000 to £98,000. LUST – A desire that burns, inciting desperate hands to grasp gratuitously. 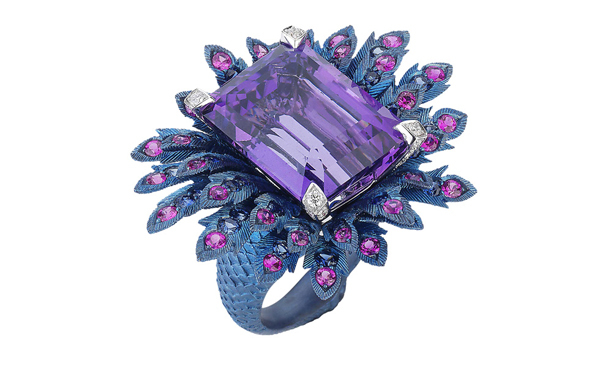 18ct White Gold Ring, pave set with White Diamonds and Tanzanite. SLOTH – A plush pink pillow of passivity absorbs wasted talents and gifts. 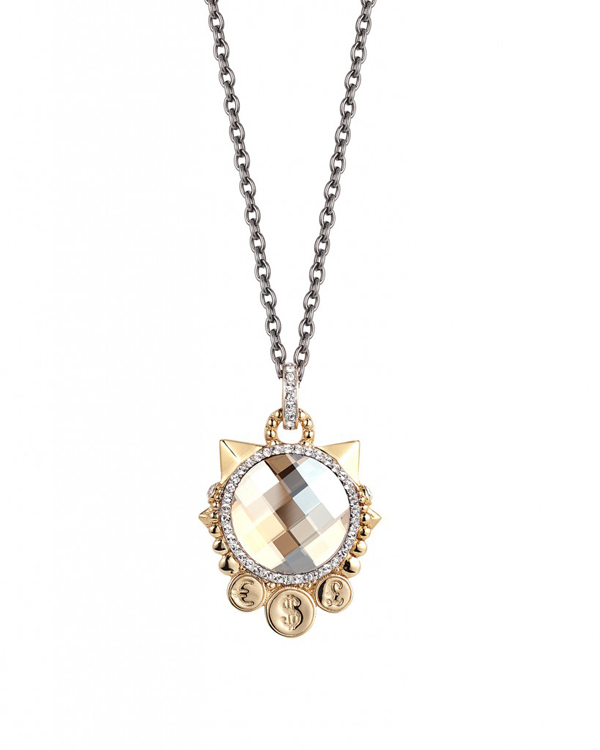 18ct Yellow Gold Ring, pave set with White Diamonds, Blue Topaz and Enamel Inlay. WRATH – Red rage is offered in a guise by the hand that provokes the spark. 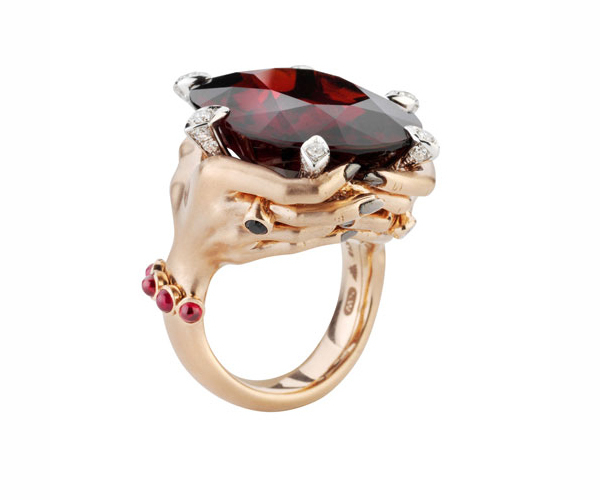 18ct Rose Gold Ring, set with White Diamonds, Rubies and Red Garnet. GREED – For the love of money is the root of all evil. 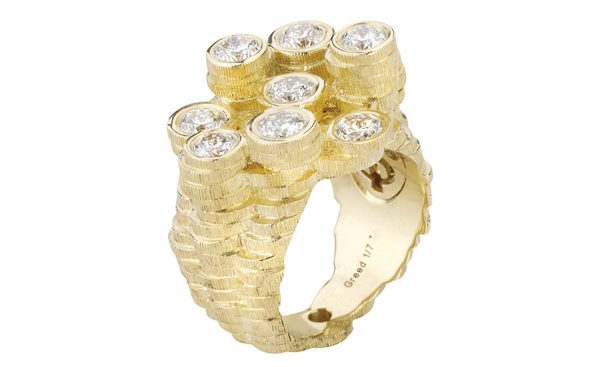 18ct Yellow Gold Ring, pave set with White Diamonds. GLUTTONY – In its gaping glory the gargantuan mouth remains unsatisfied. 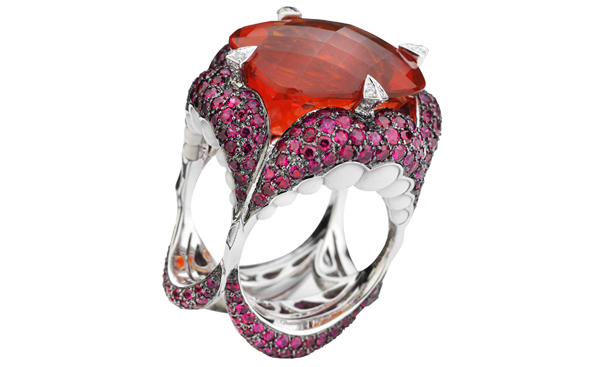 18ct White Gold Ring, pave set with Rubies, White Agate Inlay and Fire Opal. PRIDE – The proud peacock ruffles its royal feathers. 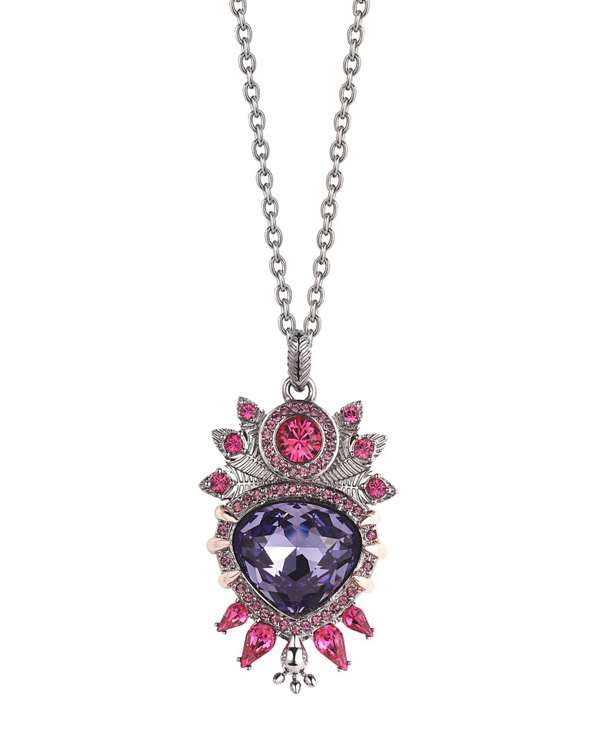 Blue Titanium Ring, set with White Diamonds, Pink Sapphires and Amethyst. 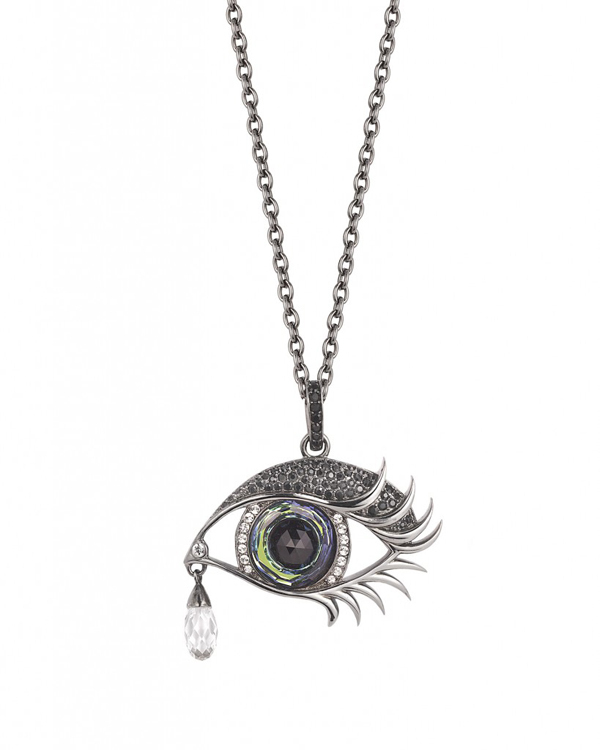 ENVY – The green eye of envy is all seeing. 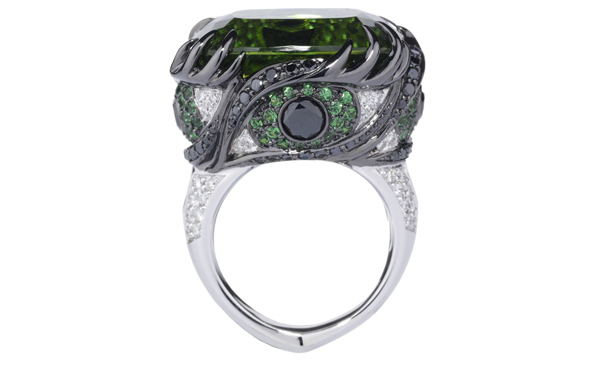 18ct White Gold Ring, pave set with Black and White Diamonds, Tsavorites and Green Tourmaline.